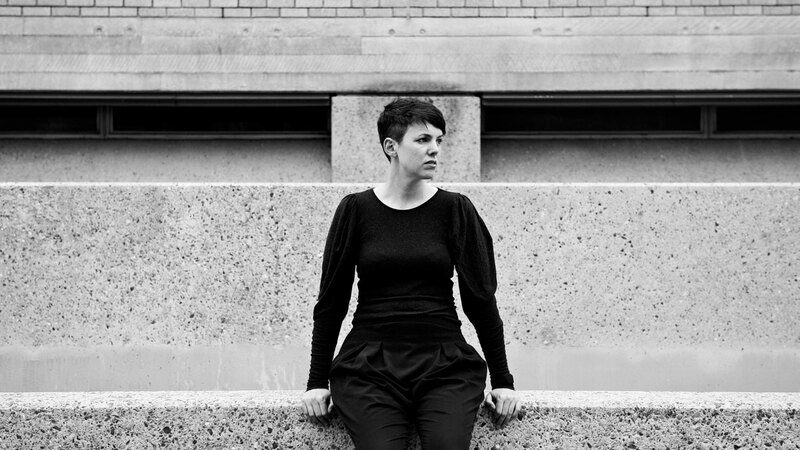 Anna Meredith is a composer, producer and performer of both acoustic and electronic music and has been described as ‘one of the most innovative minds in modern British music’ (Pitchfork). Her sound is frequently described as ‘maximalist’ ‘uncategorisable’ and ‘genre-hopping’ and straddles the different worlds of contemporary classical, avant pop, electronica and experimental rock. Her debut album Varmints has just been released by Moshi Moshi records to wide critical acclaim. Working space has been a big challenge for Anna Meredith, who has been looking for a new way to approach writing and is constantly looking for the right space to work. Previous to being at Somerset House Studios, Anna was working from home and really struggling to make that work. She had been actively looking for a suitable place to work for 3 or 4 years, and feeling increasingly isolated in her work in the process. The head-space, separation and focus that her studio at Somerset House Studios has brought to Anna has had a significant impact on her working life. Anna has been building up to her current point with the release of her debut album and the start of a touring/performing band plus having just signed her publishing with Warp/Faber which should generate a new kind of working practise for her with film/TV commissions alongside her regular ‘classical’ commissions.